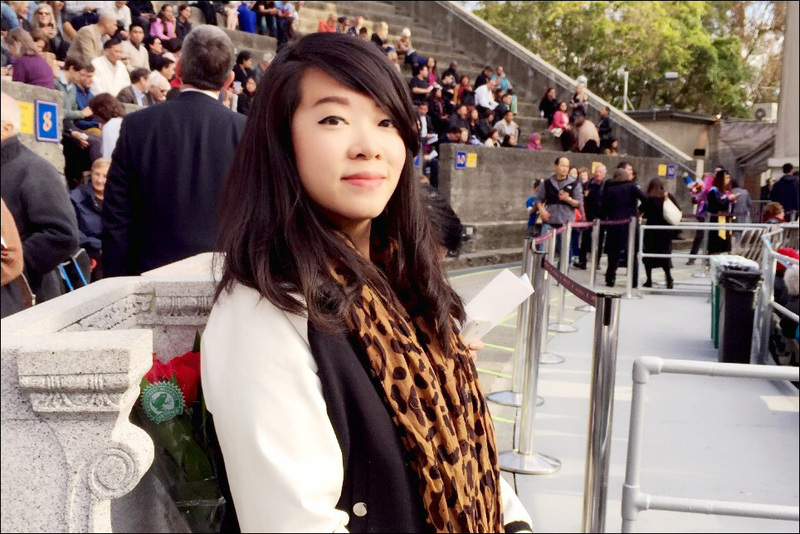 Erica Ling, a twenty-something-year-old enjoying life and figuring it all out as I go. Sitting in a hipster coffee shop working from my laptop with a cold brew coffee within easy reach (I know, I know... so LA). But if it were completely up to me, I'd be traveling through a different country every week #jetsetlife (okay I'll stop with the hashtags now). I grew up in the 626 suburbs of Hacienda Heights/Rowland Heights (aka land of endlessly cheap and delicious Asian food), went to high school in Orange County, college in San Diego, had a study abroad stint in Tokyo, attended law school in downtown LA, and now live and play on the westside. I'm the Executive Director of TaiwaneseAmerican.org, a 501(c)(3) non-profit web portal that highlights the people, culture, and events in the Taiwanese American community. We're celebrating our 10-year anniversary in 2016, and it's been awesome to see such tremendous growth over the years. Our staff is scattered all across the United States and Taiwan, and it's a real testament to everyone's passion and dedication that we can still manage the site even with our own full-time careers and day jobs. It's truly been a great honor and journey so far, where I've been able to embrace my Taiwanese identity while connecting with, supporting, and empowering the collective Asian American community. Believing in yourself and being purposeful in what you do. This may sound cheesy, but frankly, life is too short and unpredictable not to live it exactly as you please. With that in mind, I strive to be as open-minded and empathetic as possible, and believe that every individual should live and embrace his or her own truth, whatever that looks like or means to each person (so long as you're not evil, of course). But being the optimistic person that I am, I'll end this on a non-angry note and say that regardless of all the terrible things that have happened this year, it's also been a year of great progress, specifically for the Asian American community and its overall representation in entertainment and media. Shout out to Fresh Off the Boat, Dr. Ken, and Master of None for leading the way. The best is yet to come!